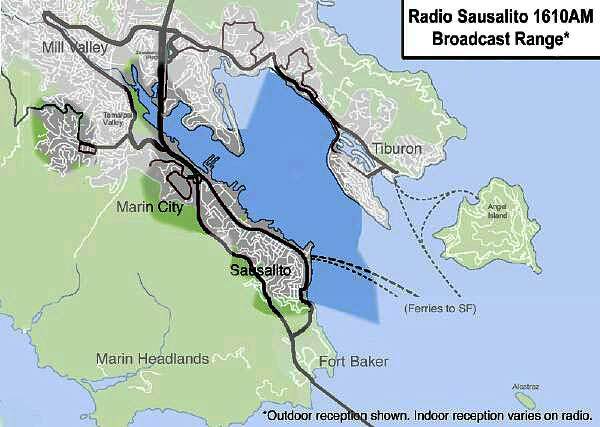 Radio Sausalito operates a network of tiny FCC certified neighborhood repeaters, each broadcasting with about 100 milliwatts. 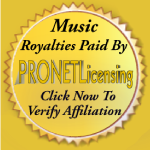 Due to terrain, buildings, and the variable quality of radios. you may not be able to receive the station in all of these areas. However, with a good AM radio, the station can be heard well beyond the range indicated below. We have some helpful hints (that really work!) on how to receive a better signal. See our AM Reception Tips page. NOTE — If you are a resident or business that would like to help extend our broadcast into Mill Valley or Tiburon, we’re looking for you! Please contact us. See our Contact the Station page.